Playing music since the age of 6, the remarkable composer/guitarist Brad Myers decided to pursue transcendence through jazz expression at the age of 13. 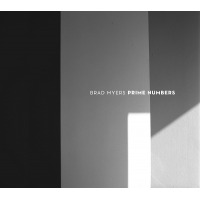 A highly eclectic musician, Brad has continued to perform in a wide variety of contexts, but his primary commitment to jazz is vividly demonstrated by the 2015 release of his album Prime Numbers, the first album released on his own label, Colloquy Records, and a stunning showcase for his brilliant talents as both composer and guitarist. Prime Numbers earned worldwide praise from critics and jazz radio alike, including “4 Stars” from Downbeat Magazine and rotation on PRI's Jazz After Hours program. 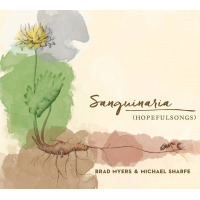 In 2017, Brad and Colloquy have released Sanguinaria (Hopefulsongs), a breathtaking and uplifting collaboration with bassist Michael Sharfe that focuses on the beautiful dialogue and interplay between jazz guitar and double bass in both duo and trio settings. Born and raised in the Washington D.C. area, Brad started to study guitar at age 10 under the early influence of The Beatles, Hendrix, Yes, Rush and the Allman Brothers, and maturing under the later inspiration of Jim Hall, the Bill Evans Trio, Keith Jarrett, Pat Metheny and John Scofield. He moved to Cincinnati in 1994 to study at the University of Cincinnati’s College-Conservatory of Music (CCM). Discovering the city’s deep musical history and its many outstanding musicians, Brad decided to forego the typical emigration to a larger coastal city and chose instead to contribute to his adopted home’s rich musical legacy. In 1998 Brad joined Ray’s Music Exchange, a popular Cincinnati based funk jazz outfit famed for long energetic improvisational grooves and inspired by a wide range of adventurous influences from Miles Davis and Frank Zappa to John Zorn and the Meters. For the next eight years, he contributed as guitarist, composer and producer; and when the group reunited in 2010, Brad produced their live DVD, A Live Rayunion. During his 20+ years as a much sought after sideman and co-leader of a variety of acclaimed ensembles, Brad has shared the stage with a variety of top names including John Scofield, Stanley Jordan, Victor Wooten, Bela Fleck, Hammond Artist Brian Charette, the Cincinnati Pops, the Kentucky Symphony Orchestra and many more. 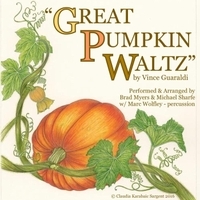 He was a featured guest soloist playing the part of Cal Collins in Nancy James and Carmen DeLeone’s A Salute to Rosemary Clooney; and he performed with Pernell Santurnini in a live broadcast from the renowned percussionist’s native Curaçao. Brad recently recorded with Fareed Haque in a big band recording of pieces from the guitar great’s Garaj Mahal, and then premiered the music live with him at Dizzy’s Club Coca-Cola at Lincoln Center in NYC. Continuing to create on an eclectic canvas, Brad is heavily involved on the local scene – as a member of Steve Schmidt’s Organ Trio for the past six years; wielding a telecaster with the country/honky tonk group Jeremy Pinnell & the 55s; playing Western Swing music with The Midwestern Swing; performing progressive original jazz with The David McDonnell Group; acoustic vocal jazz and roots music with Jacklyn Chitwood in The Fraid Knots; the music of Steely Dan with Aja; and funky experimental jazz with Ray's Music Exchange. Brad has the heart of a teacher and for over 20 years has maintained a teaching studio that balances his performance schedule with his proclivity for passing on his knowledge. In 2013, Brad returned to CCM to pursue his formal studies and in 2015 received his Master’s Degree in Jazz Studies. Catalyzing all of his influences with his extensive musical experience, Brad Myers is staying busy and happily engaged in making his own powerful mark on the glorious legacy of jazz. Since 1995, I’ve been teaching private students of all skill levels on electric and acoustic guitar, bass, mandolin, and ukulele. I also offer to help those who struggle with Music Theory, Composition and Improvisation on any instrument as long as the basic fundamentals of that instrument have been covered and we can talk about these things on a “higher level” than a beginner might be comfortable with. I started with a few students at the University of Cincinnati’s College-Conservatory of Music (CCM) Preparatory Department and had great success helping them move from beginner levels into intermediate/advanced knowledge of the instrument. From there I added a few students in the Jazz program at Cincinnati’s School for the Creative and Performing Arts and helped a few of the most dedicated students prepare for successful auditions for CCM’s Jazz Studies program and other notable music schools. I also spent time teaching at Elmer Monk’s Makin’ Music on the east side of Cincinnati where I handled students of all ages and skill levels before settling into a position at Moeller Music in West Chester, now owned and operated by Willis Music. I’ve had as many as 55 students on my schedule at a time when I was gigging less frequently, but these days I prefer a more balanced schedule of teaching and gigging and currently offer a couple of days at Moeller Music as well as lessons at your home or office for students in the Greater Cincinnati Area and via Skype for those that are interested but outside of the immediate vicinity. I am a patient and compassionate teacher who is goal oriented with my students. Although I do think that there are certain essential skills one must have on their instrument to be considered a “professional” musician, I do not believe that everybody should go through all of that when they take lessons with me. I’m interested in helping you meet your goals whether music is an inevitable career or a dream hobby that brings you joy and balance to your work filled life. I offer a number of topics for a clinic or workshop setting. Specifically related to guitar I do work with students on fretboard knowledge and applying chord voicings around the instrument and distilling the number of voicings required to play jazz down to their essentials and getting rid of non idiomatic material that is better suited for Rock or Blues guitar playing. I also work with students on strategies for organizing their practice of chord voicings and ways to come up with material they can assimilate as soon as possible. Other topics include "active" listening and comping for soloists, time feel, and best practices for self management/booking/promotion. All About Jazz musician pages are maintained by musicians, publicists and trusted members like you. Interested? Tell us why you would like to improve the Brad Myers musician page.